Do you have (or want to have) a lot of content on your website? Do you want to make your own changes or updates? Do you want your website to have a blog? Then WordPress is probably a good answer for you. It is a powerful and popular CMS (Content Management System) and allows you to easily do all these things. There are also plugins for e-commerce, social media integration, you name it. We find the features of WordPress to be so useful, we often recommend it even when the clients would never want to make their own changes. The benefit to us is ease of use and maintenance. The client benefits, too. What saves us time, saves them money. 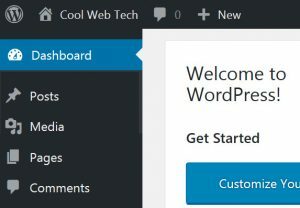 Are you looking for a WordPress expert? Look no further. Click here to contact us now!